Messenger eliminates the need for costly reminder letters and time-consuming reminder calls. 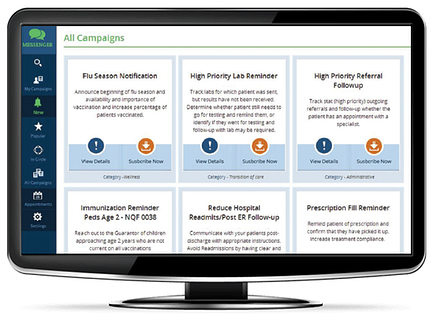 Messenger is a fully automated closed-loop communication system that leverages the information in the EMR to connect with patients. Messenger® is a care management tool that enhances communication between the physician office and the patient. By using Voice-over-Internet Protocol (VoIP) technology, practices can send voice messages to patients and SMS text messages. 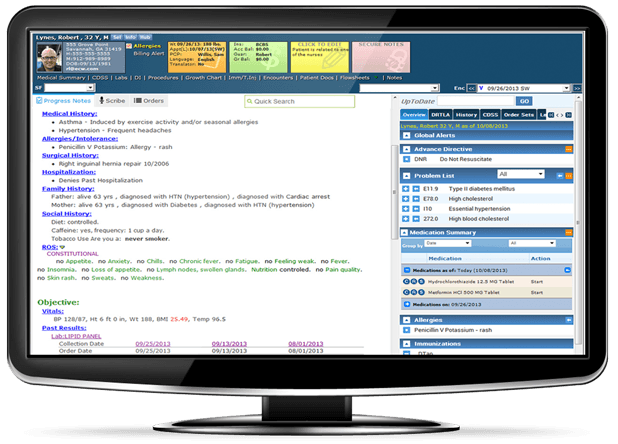 eClinicalMessenger has been designed as part of the eClinicalWorks comprehensive EHR solution as opposed to being a stand-alone product, so patients can respond to the message and have their response change the status in the EMR system to reflect that response. Messenger analytics gives deep insight into your practice's campaign performance with actionable information that shows areas of strength and weakness. See why more than 100,000+ providers trust eClinicalWorks. 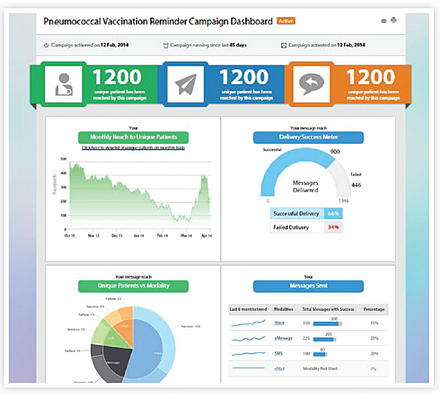 Schedule a live demo to see how eClinicalWorks can change your practice.